The History of Hot Springs . . .
Do you know what Hernando de Soto, Babe Ruth, Al Capone and Harry Truman have in common? They have all luxuriated in Hot Springs' thermal baths. Actually, scientists estimate that people have been drawn to these waters for the last 10,000 years. These waters begin as rain water that is absorbed through crevices in the earth's surface. It is then warmed and mineral enriched as it percolates deep underground. When the water eventually flows back to the surface, it has reached a temperature of 143 degrees Fahrenheit and is laden with over 20 mineral deposits. 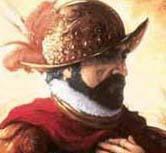 In 1541, Spanish explorer Hernando de Soto, "the discover of the Mississippi River", was the first European to visit the "Valley of the Vapors", as the Native Americans called the area. De Soto and his conquistadors were reported to have spent several weeks here enjoying the warming waters. Prior to de Soto's visit and many years afterwards, the springs were "neutral ground" where the Caddo and other tribes would gather in peace to enjoy nature's bounty. The springs were a special draw, also, to the first white settlers as they began arriving in 1807. In 1809, John Percival was enterprising enough to begin renting rooms to visitors intrigued by the water's curative powers. And in 1832, Ludovicus Belding also rented rooms to visitors coming to enjoy the "healing waters". The thermal waters that give Hot Springs its name are some of nature's most miraculous features. Located along the forested southwestern slope of Hot Springs Mountain, the 47 "hot springs" gush forth nearly a million gallons of 143 degree water every day. Today, the naturally pure water is used for thermal bathing and massage, and is also consumed as drinking water from free public springs in the downtown area. The fi rst bathhouses were basically tents fashioned out of canvas and wood; these were replaced by poorly constructed wooden buildings, which either collapsed from wood rot or burned. The bathhouses of the early 1900s, which lined Bathhouse Row, were exquisite structures replete with marble, brass and stained-glass accents. They housed what were then state-of-the-art mechanotherapy machines, gymnasiums and beauty shops which helped cure-seekers in their efforts to feel and look better. Gradually Hot Springs came to be called "the National Spa", and such slogans as "Uncle Sam Bathes the World" and "the Nation's Health Sanitarium" were used to promote the city. By 1921, the Hot Springs Reservation was such a popular destination for vacationers and seekers of health remedies that the new National Park Service's first director, Stephen Mather, convinced Congress to declare the reservation the 18th national park. 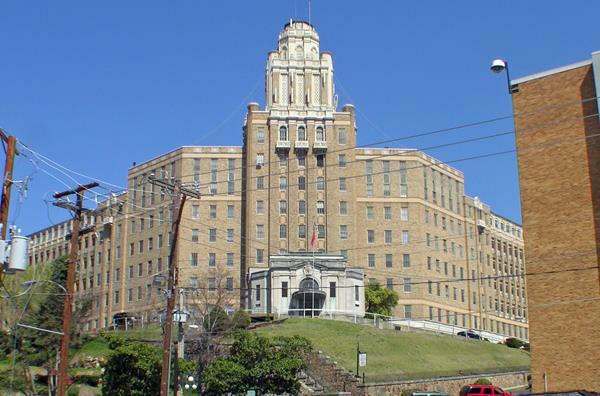 The Army/Navy Hospital (now the Hot Springs Rehabilitation Center) just above the south end of Bathhouse Row contributed to a continued high level of activity during and immediately after World War II. During the American "bathing experience" of the early 1900s, ' 20s and '30s, Hot Springs was a popular destination for the rich and famous, drawing the likes of Babe Ruth, Andrew Carnegie and F.W. Woolworth. Gangster Al Capone and members of his mob occupied the entire fourth floor of the popular Arlington Hotel when visiting the Spa City. A brass plaque marks Capone's favorite suite - Room 442. Hot Springs was a neutral territory for gangsters from Chicago and new York who visited Hot Springs to enjoy the baths and racing. By the 1950s, changes in medical technology and in the use of leisure time resulted in a rapid decline in water therapies. People also started to prefer taking to the open roads in their own cars rather than traveling by train to a specified destination and staying in a hotel for a week or two. One by one, as business declined, the bathhouses began to close. In the 1980s, citizens of Hot Springs, together with the National Parks Service, launched a restoration effort to revitalize the historic houses. 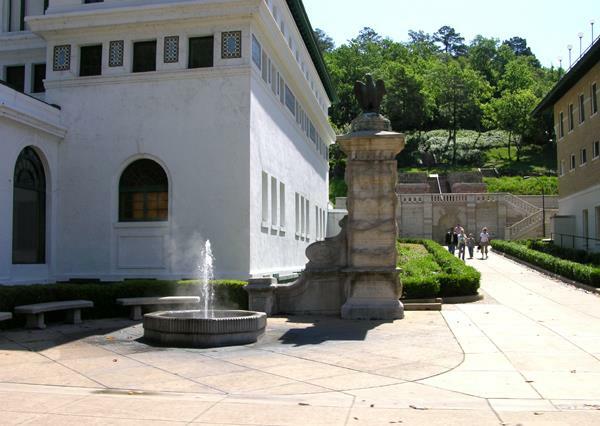 Today, visitors can recall the splendor of Bathhouse Row by touring the Fordyce Bathhouse Museum and National Park Visitor Center which has been restored to look as it did from 1915-1920. 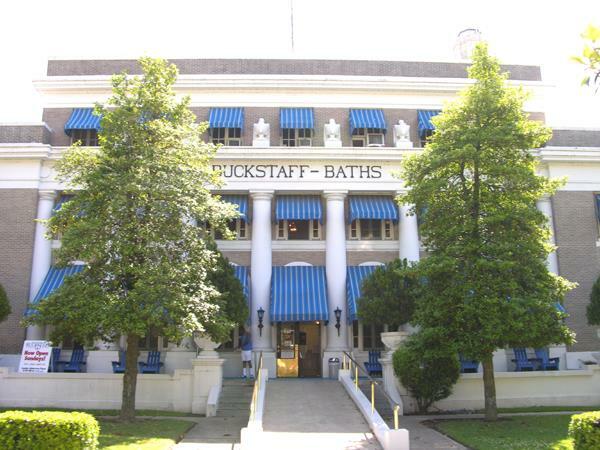 The only historic bathhouse currently in operation is the Buckstaff, but visitors can still enjoy a host of spa treatments at various bathing facilities and in downtown hotels and health spas. Illegal casino gambling thrived in Hot Springs during the '40s, '50s and even into the 1960s, until governor Winthrop Rockefeller closed the casinos in 1967. Some popular nightspots continued for a few years afterwards, featuring popular entertainers but minus the gambling. 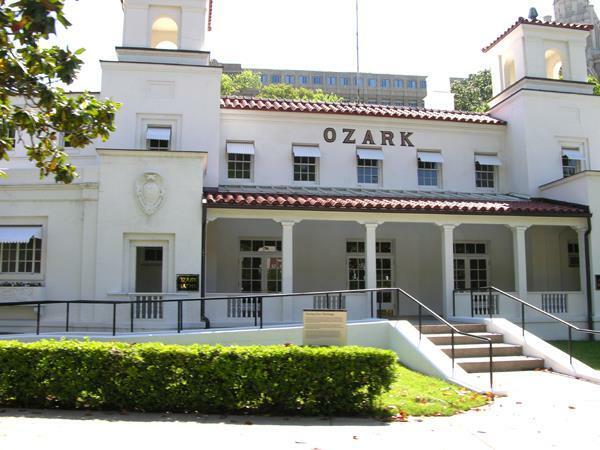 The historic city of Hot Springs bears yet another distinction. It is proud to have been the boyhood home of the 42nd President of the United States, William Jefferson Clinton. The home of the Clintons, located at 1011 Park Avenue, is not open for tours, but you can view it from the streets of downtown. He graduated from Hot Springs High School in 1964. Visitors can tour the streets, church and other local establishments that Mr. Clinton credits with giving him the early experiences that would lead to a life of public service. 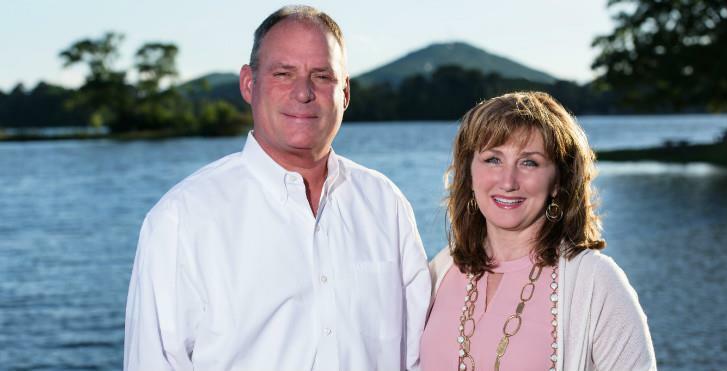 Today's Hot Springs is a vibrant, growing community. Oaklawn Park is turning out champions such as Smarty Jones, winner of the Kentucky Derby and Preakness, and Afleet Alex, winner of the Preakness and Belmont. There's a glittering new Summit Arena, which opened with a concert by Tony Bennett. Tourism is thriving and retirement, manufacturing, medical services and retail trade are important economic generators. 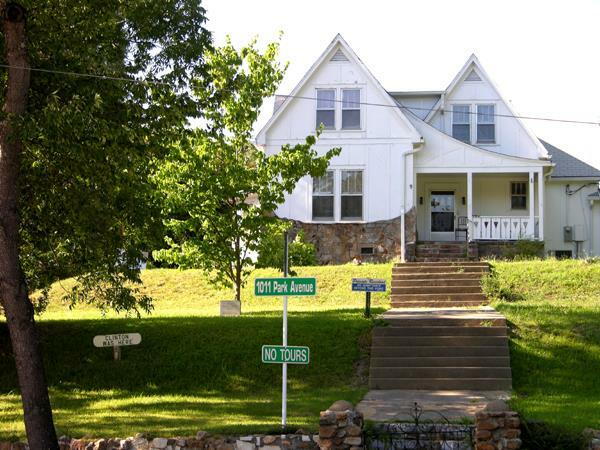 The city of Hot Springs and the county seat of Garland County provide a wealth of offerings that have been beckoning people to this idyllic spot for centuries. How about a little more Hot Springs Trivia? Tony Bennett first crooned his signature song, "I Left My Heart in San Franciso", in the early 1960s during a first reading and singing of the lyrics at the Vapors Club in Hot Springs. During the late 1800s and early 1900s, Hot Springs was the off-season capital of Major League baseball teams. The Chicago Cubs, Pittsburgh Pirates, Brooklyn Nationals, Chicago White Stockings and Boston Red Sox all held spring training in Hot Springs. "Don't shoot, Bugsy!" "Hide the Tommy Gun, Al!" Hot Springs was a neutral territory for gangsters from Chicago and New York who visited Hot Springs to enjoy the baths and racing. Texas hero Sam Houston spent a month in Hot Springs during July of 1833 bathing and relaxing prior to whipping Santa Ana in 1836. Babe hits a homer and takes home a gator! Babe Ruth first visited Hot Springs as a young pitcher with the Boston Red Sox and often returned to take the baths and play golf. On one such trip, he purchased a small alligator at the Alligator Farm to take back to boston as a Hot Springs souvenir. The oldest tourist attraction in the state of Arkansas, the Arkansas Alligator Farm and Petting Zoo in Hot Springs was the first of its kind in the country when it opened back in 1902. The Wild South? Legendary outlaws Frank and Jesse James robbed a stagecoach five miles outside of Hot Springs in 1874. 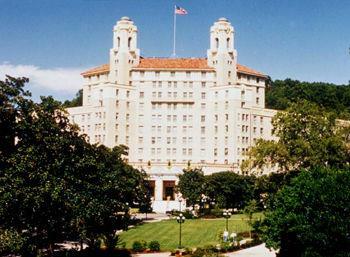 The Spa City had a reputation as a presidential playground in Hot Springs, Harry Truman had a favorite club where he played his favorite game, poker. 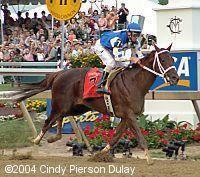 Truman was known to play for small stakes, and he tipped small as well. Franklin D. Roosevelt and Eleanor Roosevelt visited Bathhouse Row in 1936, and Theodore Roosevelt came to the Spa City in 1910 to attend the Arkansas State Fair at Oaklawn Park. A legendary helping hand. After a fire destroyed part of Hot Springs in 1905, Bat Masterson, of O.K. Corral and Wyatt Earp fame, liked the city so much he helped raise money to help those in need. A training ground for champions. Heavyweight boxer Billy Conn, the former light heavyweight champion, trained for his 1946 rematch with Joe Louis in the gymnasium at the Fordyce Bathhouse. He ended up losing the fight to Louis in what is often remembered as "the fight of the century". Many famous boxing champions liked to vacation in Hot Springs, including Jack Dempsey, John L. Sullivan, Jim Corbett, Joe Louis and Jess Williams. The Hot Springs Mountain Tower was constructed in 1870, and the current structure, the fourth generation, was erected in 1983. The gymnasium on the third floor of the Fordyce Bathhouse was the first gymnasium in the State of Arkansas. In 1961, the U.S. Department of Justice concluded that Hot Springs had the largest illegal gambling operation in the country. All gambling activities, the illegal ones that is, ended in Hot Springs in 1967. The last "house of ill repute" closed in Hot Springs in 1963. The proprietor of the famed Cotton Club in Harlem - Owney Madden - relocated to Hot Springs where he lived until he died of old age. Mountain Valley Spring Water is headquartered in Hot Springs only 12 miles south of the famous spring that gives the water its name. Marjorie Lawrence, star of the Metropolitan Opera moved to Hot Springs in 1941 after she was crippled by polio in 1941 and taught voice to local children in her spare time. "The Kingfish", Huey Long and his wife vacationed in Hot Springs. Arkansas Senator Joseph T. Robinson accepted the Democratic nomination for Vice-President on the steps of the Arlington Hotel in 1928. For more information, visit the Garland County Historical Society's in person at 328 Quapaw Avenue in Hot Springs. They are open Monday thru Saturday 8am until noon or visit their website here. And there's a Gangster Museum in the downtown area, that's full of interesting history. Click here for more information.